When shoe store Deichmann recently contacted me, and asked me if I wanted to pick out a pair of shoes from their autumn/winter collection, I obviously said yes. But what I couldn’t believe, was the vast array of on-trend and extremely affordable boots they have on offer. 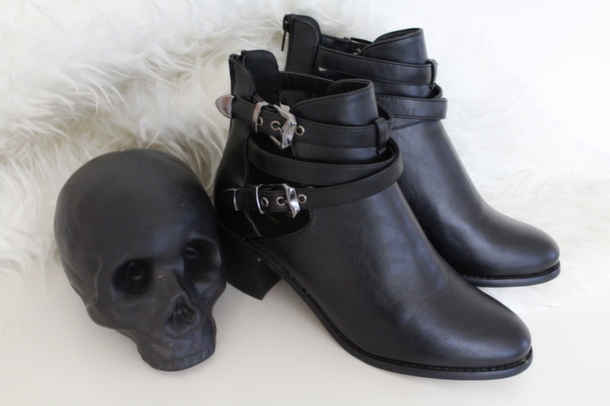 I ended up choosing this cute pair of cut-out boots, which are everywhere right now, but usually more expensive. Cut-out boots have been a major trend for the best part of a year, but can be on the more pricey side of the spectrum. 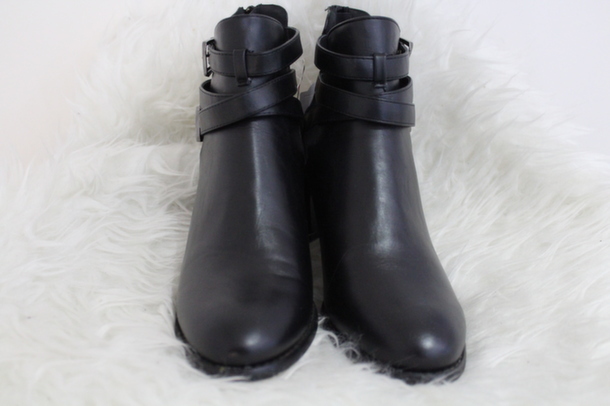 It was Balenciaga that really started the cut-out boot trend off, with Jeffrey Campbell following, but these Deichmann boots are much less casual than their counterparts, and can more easily be dressed up. These I feel are more versatile, because they’re capable of being super smart, but will look great grunged up aswell. Stay tuned for some OOTDs! 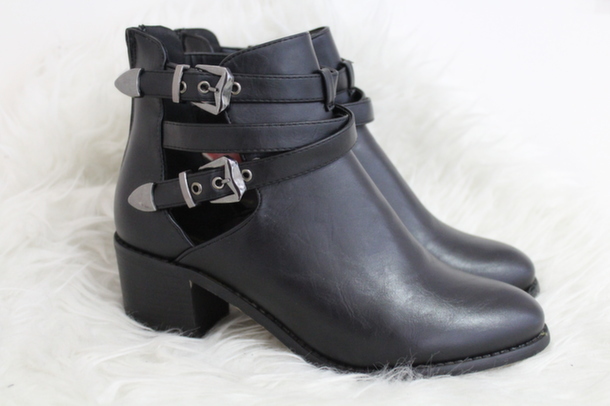 The best thing about these boots, is that as gorgeous as they are, they only come in at £24.99, which is a steal. Even at Camden market I tried on a very similar pair that the stall owner wanted £40 for, and they were nowhere near the quality of these. 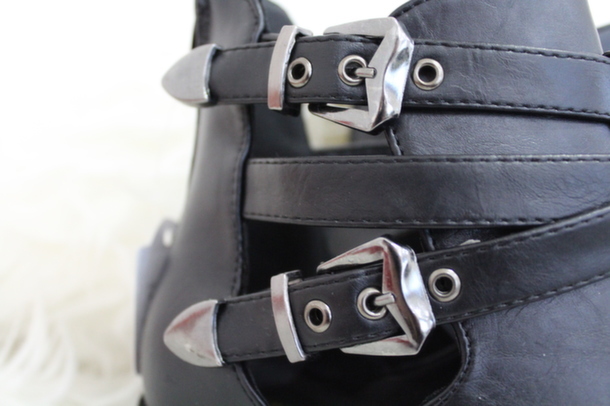 The attention to detail is brilliant, and you can see the crossed straps and detailed buckles really make them look more high end. The heel gives you just enough height, but they’re not sky-high or uncomfortable, so definitely ones you can rock all day and night, particularly in the festive season! Despite boots being dubbed a ‘winter’ thing, these will look just as great with bare feet and cute dresses come summer, as they do now with tights or big chunky black winter socks. I’m going to be wearing these all winter long with tonnes of different ensembles, like jeans and sweaters to fun, festive frocks and tights, with a coat thrown over the top, they really will go with everything.